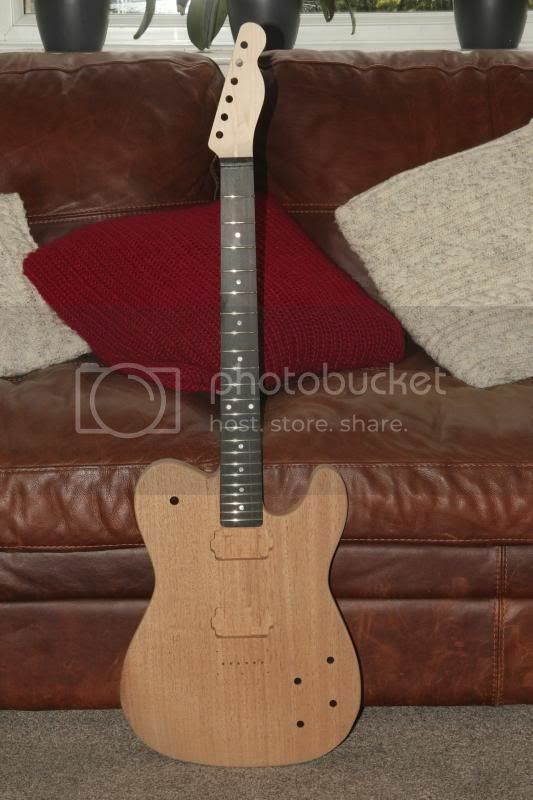 Another one of my Mahogany Tele’s. 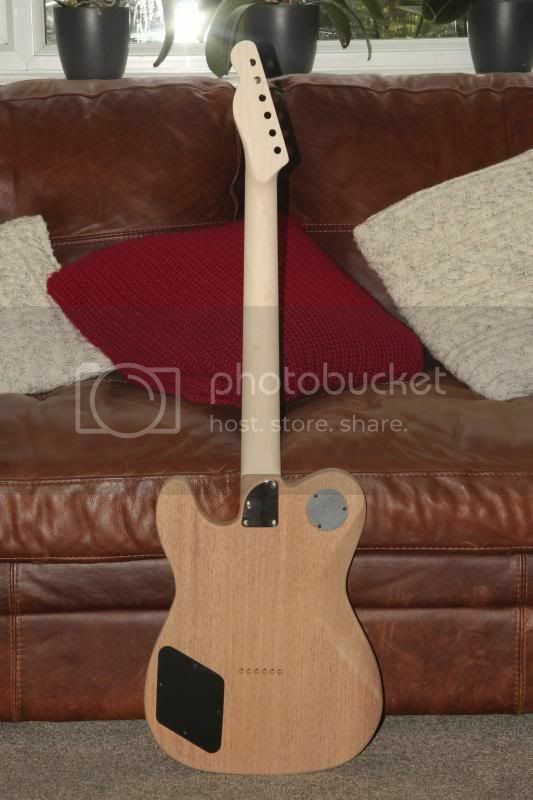 This one has a one piece Mahogany body routed for two HB’s pickups. Maple / Ebony neck fretted with StewMac 150 frets MOP inlays. The control pockets are routed the same as a L/P.